The large lagoon pool has an island and swim-up bar. 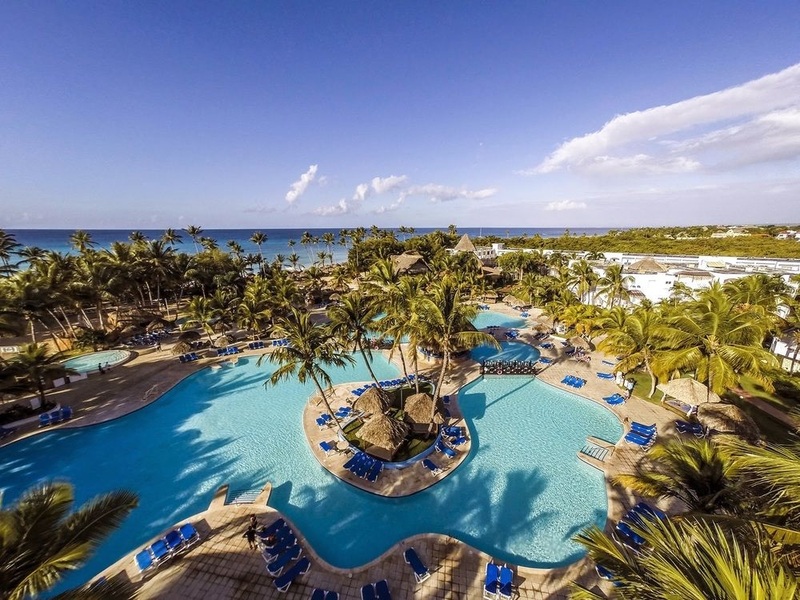 Be Live Canoa is an all-inclusive resort located on Bayahibe Beach on the southern coast of The Dominican Republic. With a kids’ club, nightclub, and special adults-only pool, the resort is great for families and couples alike. Rooms at the resort range from standard garden and pool view, to spacious superior deluxe suites, which are new and modern with garden views. Ocean view suites and villas are also available. All rooms at the resort have private balconies, mini-bars, cable TV, and bathrooms with complimentary toiletries and hair dryers. This resort is all inclusive. Meals and drinks at seven restaurants and nine bars are included. There are also two snack bars. The resort’s full-service Bay Spa has a steam room and jacuzzi, and offers a wide selection of treatments including massage, aromatherapy, hydrotherapy, and manicures and pedicures. There’s also a nightclub onsite. Fly into La Romana International Airport, Dominican Republic (LRM). The resort is less than 25 minutes from the airport. Visit Be Live Canoa’s website for more information.